There are many ways to manage stress effectively, but sometimes our most automatic-seeming responses aren't the best ways to cope. If you tend to deal with stress in less-than-healthy ways, you probably already realize that you are compounding the negative impacts of stress on your health. This can happen when your responses to stress make the challenges you face...more challenging; this exacerbates your stress levels and creating new problems in your life and health. The following are some common unhealthy ways of coping with stress, along with some of the negative effects of each, and ideas on how to curb or change the bad habit itself or lessen its impact. Multitudes of people enjoy a daily caffeine intake, as evidenced by the extreme popularity of Starbucks and other coffee houses. And while the occasional coffee isn’t going to do you great harm, it’s important to remember that caffeine is, in fact, a drug, and it’s possible to have a full-blown caffeine addiction. More likely and common, however, is caffeine dependence, where people use caffeine to jump-start their energy in the morning, use it throughout the day to stave off a "caffeine crash," and then find their sleep disturbed by caffeine, causing them to wake up tired and need the caffeine jolt to get going again the next day. As the cycle continues, caffeine affects stress levels as well. If this sounds a little too familiar, here are some resources to help kick the caffeine habit. For smokers, a cigarette can feel like a good stress reliever. In fact, during times of stress, a cigarette feels almost necessary, and quitting the habit can seem virtually impossible. (Due in part to physical addiction and in part to habit and other social and lifestyle factors, it’s been said that quitting smoking is as difficult as quitting heroin.) Unfortunately, we all know that cigarettes can be costly—financially speaking and especially health-wise—and because smoking creates much more stress than it alleviates, it’s more than worth it to kick the habit. Many people find that a glass of wine can be a good way to unwind at the end of a stressful day, and most physicians and researchers agree, citing studies that show that red wine has benefits for heart health. 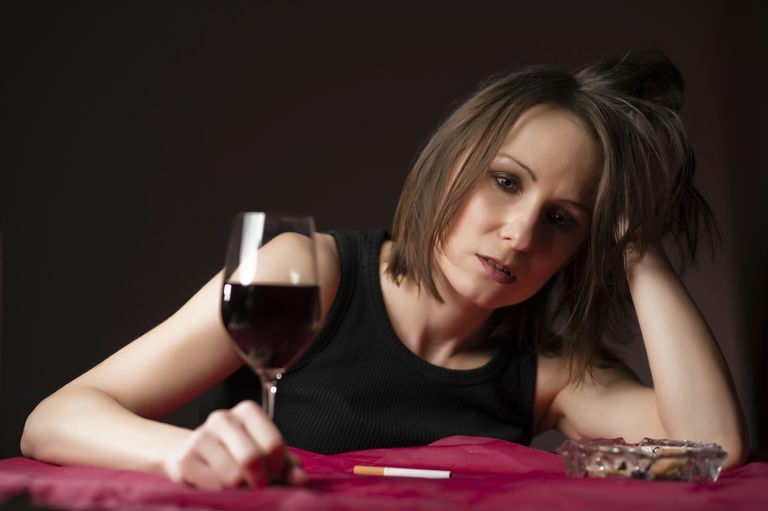 However, drinking can be a slippery slope as excessive drinking can cause problems in virtually every area of a person’s life, causing much more stress in the long run. If you are one who has trouble limiting alcohol consumption to one or two drinks, and even if you can drink very moderately but find that this is your only regular stress management practice, it would likely be in your best interest to pursue other forms of stress relief. For additional ideas on stress relief practices, here’s a long and varied list of stress relievers. Most of us let our friends Ben & Jerry help us reduce stress with ice cream on occasion (or at least most of the people who took this poll on emotional eating said they did), but if eating the wrong things becomes the main coping mechanism for stress, it can lead to compromised health, excessive weight, and additional stress stemming from these effects. A poor diet can cause additional stress also by leading to blood sugar imbalances that make stressful situations seem more overwhelming. If you find that stress leads to poor dietary habits because of emotional eating, or for other reasons (like you’re just too busy to cook healthy dinners at home), you can learn to adopt healthier eating habits with these resources. Additional unhealthy responses and bad habits include self-sabotage and lashing out at others, working to the point that you live an imbalanced lifestyle, and other things. For more help with bad habits and mild to moderately unhealthy responses to stress, read this article on maintaining healthy habits!